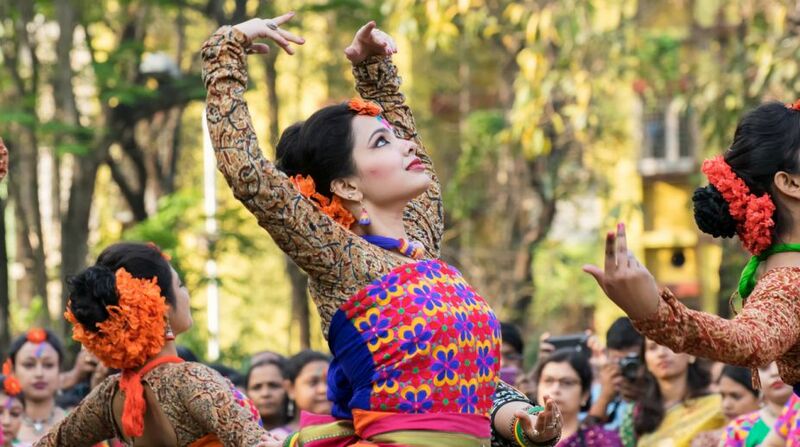 The West Bengal government plans to fund cultural activities of state-run universities as part of its efforts to keep Bengal’s heritage alive, Education minister Partha Chatterjee has said. This will be a part of the government’s commitment to help the universities run cultural projects in a consistent manner, the minister said, after inaugurating the light and sound show on the Jorasanko campus of the Rabindra Bharati University (RBU) here yesterday. The light and sound show marked the beginning of the four-day Rabindra Bharati Sankskritik Utsav on the Jorasanko and B T Road campuses of the university. The Higher Education Department will ask the students’ bodies to arrange for cultural programmes on the works of Rabindranath Tagore, Kazi Nazrul Islam, Atul Prasad Sen and popularise their creations among the present generation, he said. “We have to tell this generation that Tagore, Vivekananda are our lifelong treasures and the students have to follow and propagate their ideas,” Chatterjee said. The songs of Tagore, Nazrul and Sen will never pass into oblivion, the minister said. The four-day fest on the two campuses of RBU will witness musical performances, recitals and talk shows by prominent personalities, including vocalist Ustad Rashid Khan, percussionist Tanmoy Bose, Rabindra Sangeet exponent Swagatalakshmi Dasgupta among others, VC Sabyasachi Basu Ray Chaudhury said.